Home > Ask Our Experts > Pictures of Me on Facebook: Is This Breach of Privacy? My ex-employer has published pictures of ex-staff including myself on facebook and I find this a breach of privacy. I would have hoped my records would be kept secure and safe. Can I take action against the company which is a well known multi-national company? The action taken by the ex-employer does seem to be a breach of privacy under the Data Protection Act. The Act says that anyone who uses personal information has to meet certain data protection principles. Furthermore, employers must not retain personal information for longer than necessary. From the details given in the question, it’s possible to argue that by placing a picture of an ex-employee on Facebook, the employer may be infringing these principles. For example, an employer will find it hard to justify retaining a member of staff’s photo after he or she has left. This seems to be “longer than necessary”. In fact under the terms of the Data Protection Act, the employer should have destroyed the picture. After all, why was there a need to keep it? The employer also appears not to have kept the picture secure; not used it for limited purposes only; not used it fairly; and not respected the right to privacy of the former staff member. 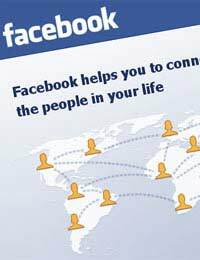 Facebook is a social networking site accessed by millions of people across the world. When an employer places a photo of a former staff member on Facebook, the result is hardly respect for privacy. What’s more, the presence of the photo may cause the ex-employee distress and possibly damage. The distress may be personal. The damage may be to the former staff member’s reputation and career depending on the picture’s context and any accompanying text. The questioner may wish to write to the former employer expressing concern about the picture on Facebook and asking for its removal. At the same time, the letter could ask the ex-employer to explain the reason for putting the picture on a social networking site in the first place. The letter should avoid reference to the law. If the ex-employer doesn’t give a satisfactory reply, the next stage is to consider using a solicitor to pursue the matter. This can be a costly option but may be necessary to reach a solution. I am employed by the NHS and we have been told we must supply the ward with a personal photograph of ourselves so this can be displayed on a staff board at the entranceof the ward. I and many of my colleges are not happy to have our photo on public display how do we stand legally if we continue to refuse. If I get calls from third parties, such as debt collectors, am I correct in saying that I should not confirm that the person they are asking for works here? Do my workers not have the right to privacy at work? Workers here are told that they they cannot receive personal calls I choose not to confirm whether or not they work here. Do I have the right to ask my previous employer to delete all personal data held on the archived email system? The role required me to check and add my personal diary as I had to constantly work and travel out of hours. As such, they have kept phone details of my family, and next of kin. In the process of keeping my role, I had to email my partner to check her diary, I would like all personal data to be deleted. Do I have such right?